Garrison Hullinger Interior Design‘s very own Garrison Hullinger didn’t grow up wanting to be a designer. It wasn’t until years after he suffered a serious work-related injury (he was a Gap project manager) — one that required him to relearn how to walk, write, and read — that he discovered his passion for remodeling. It all came from a suggestion from his occupational therapist that taking on a bathroom remodel project may help rebuild his motor skills as part of rehabilitation. He took on more and more renovation projects, many of which were in homes he bought in San Francisco, before officially launching his firm in Portland, Oregon in 2010. What was your first professional design project? Would you do anything differently today? If you had a time machine and could travel back to stop any one design trend, what would it be? You design for others, but what’s your personal style? To see more of Garrison’s gorgeous work, visit Garrison Hullinger Interior Design. 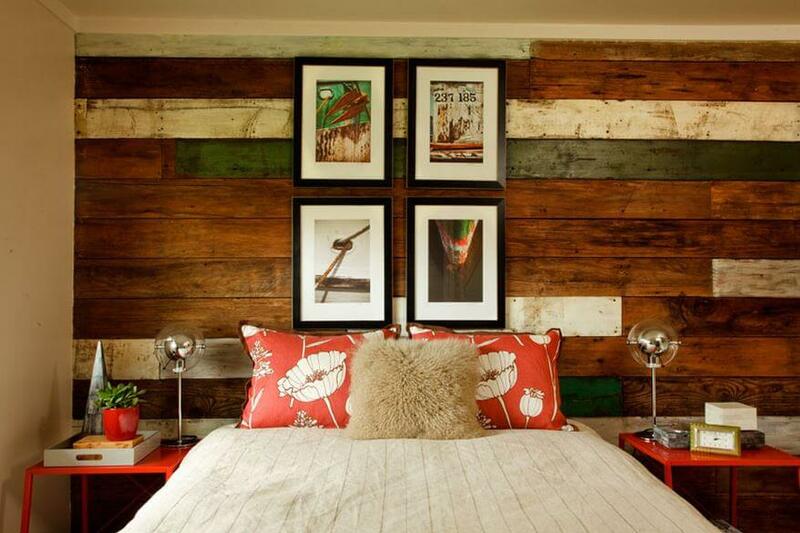 An amazingly gorgeous bedroom with a reclaimed wood wall by Garrison Hulling Interior Design. We love the fun floral print on the pillows and the playful pops of green. One of my first projects was a new build home in Washington and was featured in Parade of Homes. Being the sole designer on the project, I certainly would have done the behind-the-scenes processes differently, as in keeping track of all of the materials, surfaces and furniture and home decor used in the home. Now, I am proud to say that my firm has documentation and other efficiencies down! People often times purchase things they really love, even if they don’t go with the period of their home, or other larger pieces of furniture. Clients hire us to help create a cohesive, functional, and practical space . Put practicality and livability first. Beautiful comes last. 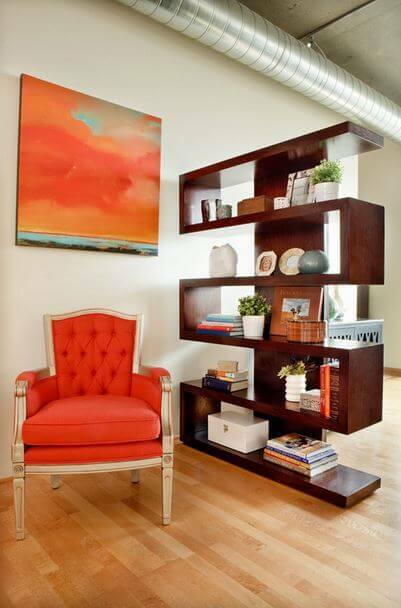 We can’t get enough of this warm, contemporary interior by Garrison Hulling Interior Design. The shelving couldn’t be more perfect. My days are very different from when I first started the company. A normal day consists of first-time client meetings, site visits, creating contracts, meeting with designers and department leads to get an overview of the projects they’re working on, and lots of emails and phone calls. Contemporary, but when it comes to my own home, I am on a budget. It’s a common misconception that interior designers have lavishly designed homes. I create practical and livable spaces for my clients, as well as my personal homes.